Want to perfect the art of a red pout look? 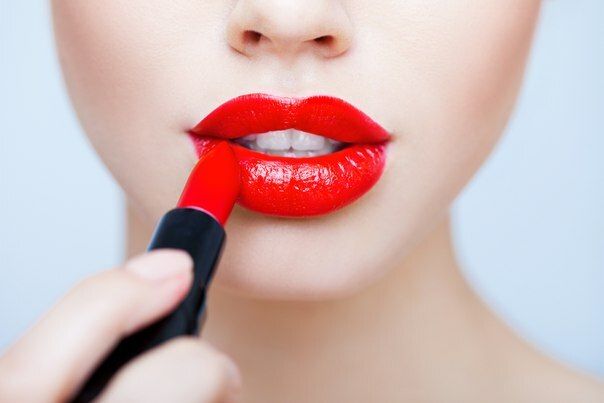 Then here are a few tips on how to get bright red lips on special occasions! One classic look that will never go out of style is the bright red lips. Yesteryear actresses, high fashion models to young girls in college – this look suits just about everybody. But it is critical to get the red lip right otherwise it can end up making you look like a particular scary villain from a superhero movie. Since we have enough experience with how tricky a bright red lips look can be, we decided to compile all our expertise into this guide to help you achieve the perfect red lip look too. So read on to get the complete low down on this fabulous style and get ready to show it off the next time you step out the door. There is a different ‘perfect red lipstick’ for every skin tone, and it’s important that you find one that suits you. You don’t want something that has strong undertones that clash with your skin or wash out against the rest of your makeup. Those with fair skin should opt for berry based shades of red, while those with medium skinned should try true or brown based red. If you have olive skin you can try orange based reds and those with dark skin can opt for fuchsia or poppy red based shades. 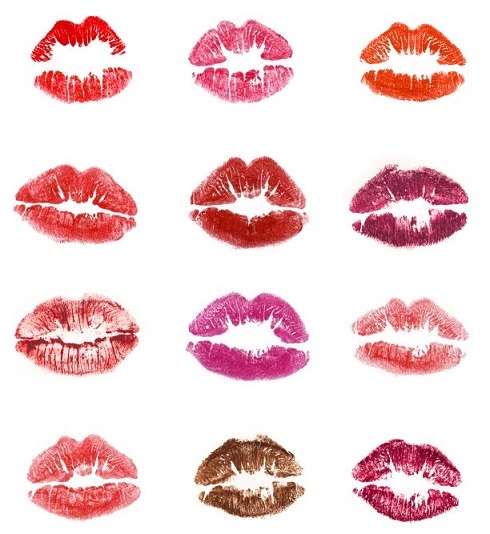 Most people line their lips first and then fill it in with lipstick. But this reverse technique will actually help you get a more polished look. 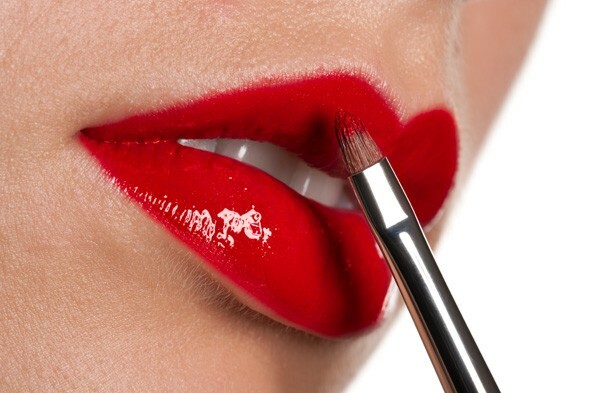 Start by applying your lipstick with a lip brush and fill it all over. Start by applying it in the middle and then draw strokes outwards. You don’t need it to be perfectly shaped to line the lips so just focus on getting the lips colored. 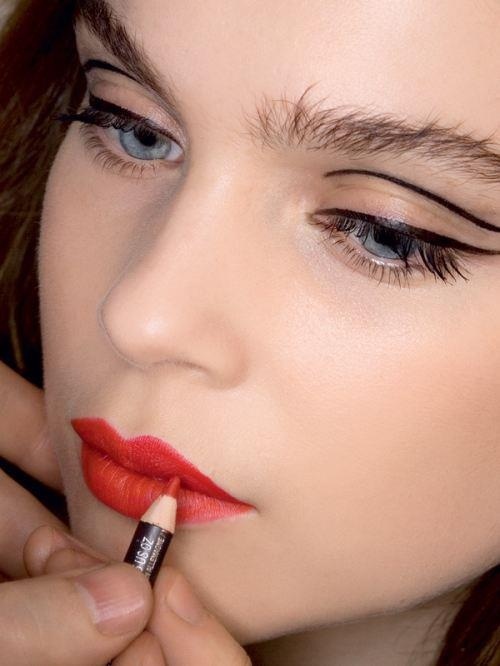 Take a lip liner in a matching shade of red and ensure that it is sharp. Apply it around the edge of your lips following your lip lines and concentrate on defining and highlighting the cupids bow, the small dip that is there at the center of your upper lip. 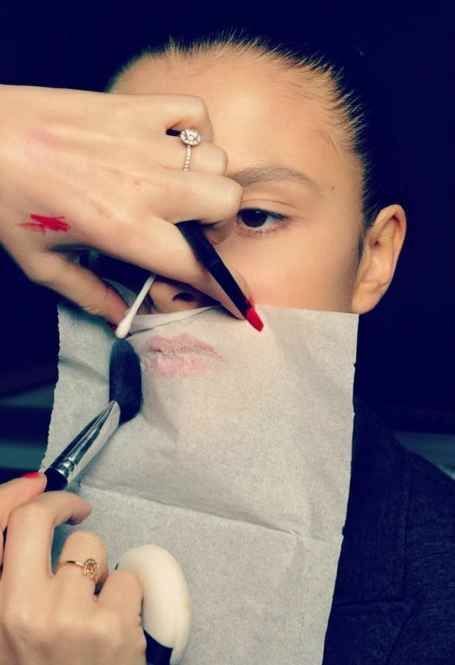 If you have thin lips, you can apply the liner just outside the edge to create an illusion of fuller lips. Applying the liner later helps to create a plumper lip look. Press your lips together and rub your lips (like you have seen in every makeup video) to spread the product evenly and smoothen out the lips. Hold a face tissue on your lips and lightly dust it with some powder using your makeup brush. This will help the lipstick settle and will ensure that it lasts longer. If you prefer glossy lips over the matte look, then you can apply a generous layer of clear gloss over your lipstick to add that little extra plump and shine. Remember to apply more gloss to the center of your upper and lower lips to make your lips look fuller and to achieve that perfect pout. Lastly, flash that gorgeous smile and get ready to make heads turn with your stunning style.